Fred Kuwornu is an Italian filmmaker whose work examines the complexities of racial, ethnic, and national identity. His first film, “Inside Buffalo” (2010) was a documentary about the 92nd Infantry Division, known as the “Buffalo Soldiers,” an all-black combat unit that fought in Italy during World War II. Kuwornu made the film after working with Spike Lee on “Miracle at St. Anna,” Lee’s 2008 feature film about the 92nd division. discussion, with “18 Ius Soli: The Right to be Italian,” a critique of Italian citizenship law based on Ius Sanguinis. Under the Italian law, Italy-born children of immigrants do not automatically qualify for citizenship. They must instead request it when they reach 18 years of age, and no later than their nineteenth birthday. 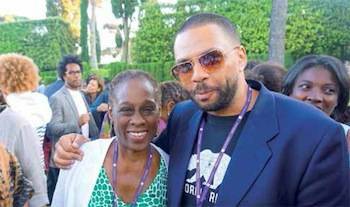 He is doing post- production work on “Blaxploitalian,” a film about black actors in Italian cinema, while also developing a new documentary about the Neapolitan musician James Senese, whose father was a black American soldier stationed in Naples during World War II. 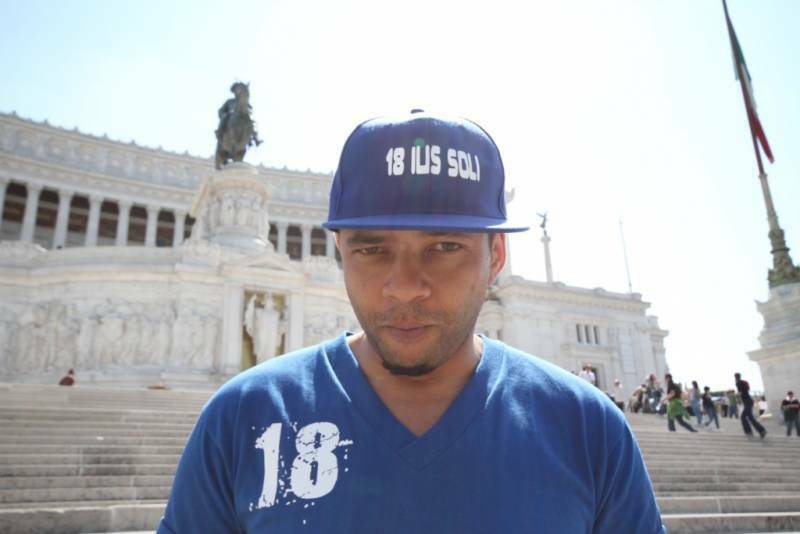 i-Italy recently spoke with Kuwornu about his experiences as a biracial Italian and the challenges of being an ethnic/racial minority in today’s Italy. “In my documentaries and when I speak at conferences, I talk a lot about being African and Italian,” he says. “It is a hybrid identity that I’m trying to understand more and more as Fred Kuwornu and therefore as an individual who is Afro-Italian.” The director says he wants to explore not only the “Afroitaliano” identity of Italian- born people of African descent, but also what he calls “Afro-Italico,” an appellation for someone of mixed Italian and black backgrounds, whether the “Italian” side is from Italy, the US, or Canada, and the “African” side from the US, the Caribbean, or Brazil. 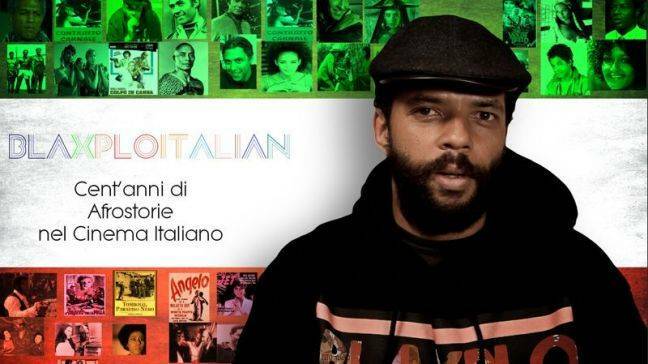 “There are many more ‘Afroitalici’ in the world than ‘Afroitaliani,’” he says. “18 Ius Soli” has stimulated discussion about citizenship for the Italian-born children of immigrants. But Kuwornu says, “The only thing that has changed, one might say, is that perhaps the children of immigrants are now much better informed than before about this problem.” He says that the citizenship law is “absurd” because Italy has always been a multiethnic country, going back to the Roman Empire. He does suspect, however, that his non- Italian surname may have cost him jobs; after he earned his degree in political science, he applied for positions but never received a response. “Perhaps my foreign last name on my resume created some problems,” he remarks. As a visitor to the US, and now as a New York resident, Kuwornu has spoken to Italian Americans at such organizations as the Calandra Institute and Casa Italiana Zerilli-Marimò in New York, and on college campuses. Some, he says, have reacted negatively because they cannot conceive of Italians as anything but white. Some seemed shocked that someone who looks like him speaks and gestures as an Italian. “Perhaps there’s some envy there because so many Italian Americans don’t speak our language any more,” he says. Kuwornu is now seeking funding for his forthcoming documentary about James Senese, an Afro-Italian saxophonist and bandleader who has been a prominent figure on Naples’ music scene since the ‘70s. “The film will be about music and identity: what it meant to be African- Italian in the 1950s, ‘60s, and ‘70s,” he says. Besides Senese, Kuwornu has interviewed actor-director John Turturro for the film; Turturro’s documentary, “Passione,” about Neapolitan music, featured Senese. Kuwornu also plans to interview New York Mayor Bill de Blasio, who is of Campanian descent, and de Blasio’s son, Dante, whose mother is African American.